Betsy, Abby & Zoë make up the Valley Flora trio. As a mother-and-two-daughter team, we cultivate over 100 different crops on our family farm along Floras Creek. We couldn't do what we do without the additional help of our incredible year-round employee - Roberto - our seasonal delivery driver, farmstand cashiers, and part time summer harvest help. Betsy moved to Floras Creek in the early 70s, where both Abby and Zoë were born and raised. After college, Abby returned to the farm and started up a salad greens business in 1997, known as Abby's Greens. She developed a loyal following of chefs, retail stores and other local salad devotees. 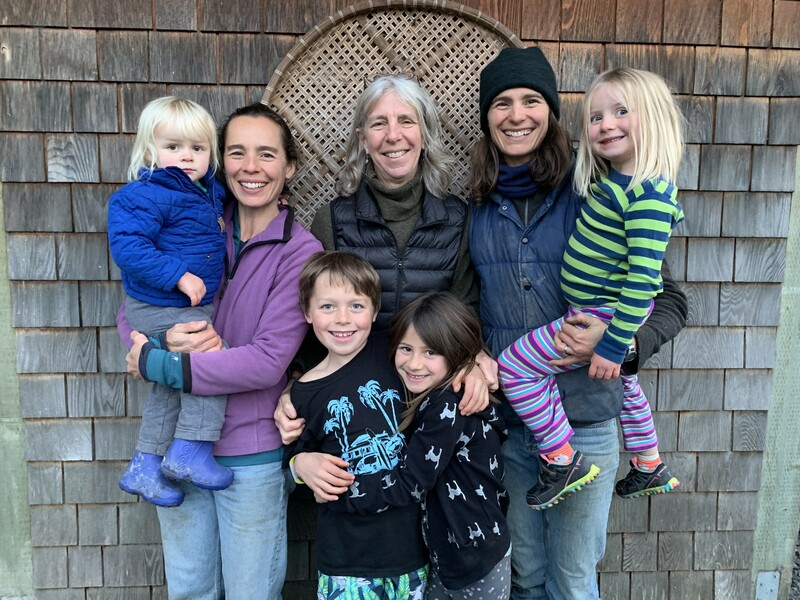 Ten years later, after working for various organic farms and non-profits, Zoë and her two draft horses came home to Floras Creek to expand the farm. 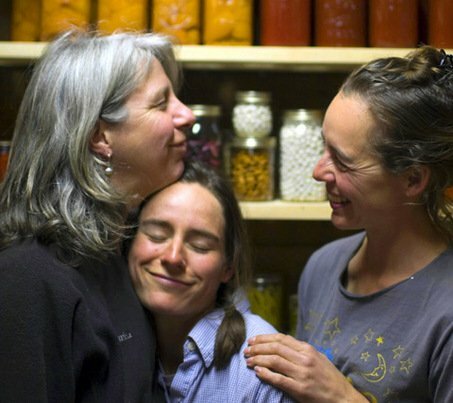 In 2008, Valley Flora was born, a three-way farming collective. Today, Abby continues to wear the "Greens Queen" crown; she manages the salad production and is the resident apple and orchard expert. Betsy has carved out her niche in the greenhouse, growing row after row of tomatoes, peppers, cucumbers, basil and summer squash. Zoë rounds out the produce line-up with berries, flowers, asparagus, and scores of other outdoor seasonal row crops. Together, the "Florettes" feed over 100 Harvest Basket members through their community supported agriculture program, and help keep the pantry stocked at dozens of local restaurants, retail stores, and foodbanks.